Rome and Romance on Valentine’s Day | Where's my backpack? 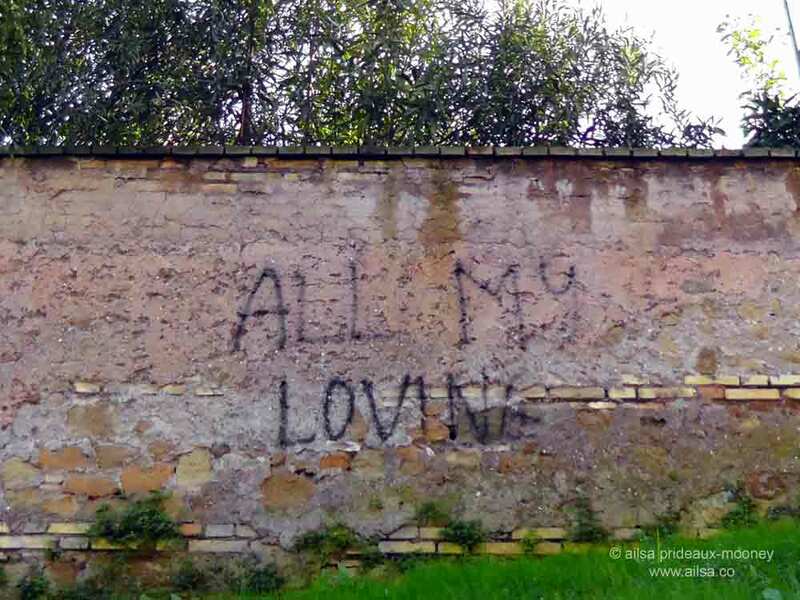 … everywhere you look, love really is all around. So it is perfectly fitting that the tradition known as Valentine’s Day should have its origins here in the Eternal City. While there have been about a dozen St. Valentines, and even a Pope Valentine, the chap we celebrate every February 14th is St. Valentine of Rome. The legend surrounding his martyrdom is as follows. It was around 270 AD and Rome was under the rule of Claudius the Cruel – that doesn’t bode well, does it? Claudius was trying to build up his army but was having a hard time recruiting soldiers. He came to the conclusion that men were unwilling to enlist because of their attachment to their wives and families, so to solve the problem, he passed a decree banning all future marriages and engagements in Rome. Valentine, a temple priest, found this decree dreadfully unfair and decided to defy Claudius, presiding over secret wedding ceremonies for young Roman lovers. Naturally enough, he was discovered and incarcerated. While he was in prison, legend tells that he fell for the gaoler’s daughter and when he was taken from his cell to be beheaded, on that fateful February 14th, he left a note for her, signed ‘from your Valentine’. 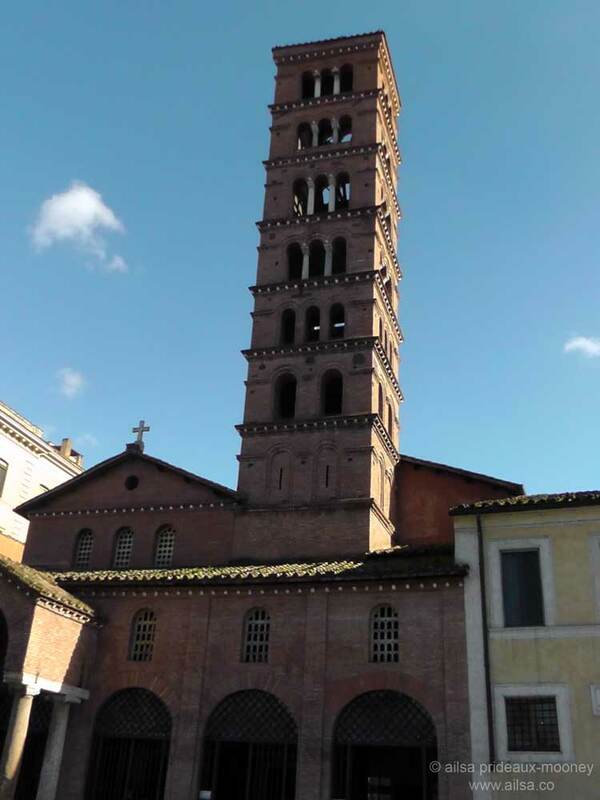 Wander down to the Basilica di Santa Maria in Cosmedin and after you have stuck your hand in the Bocca della Verita (if you dare!) take a look inside the beautiful little basilica. 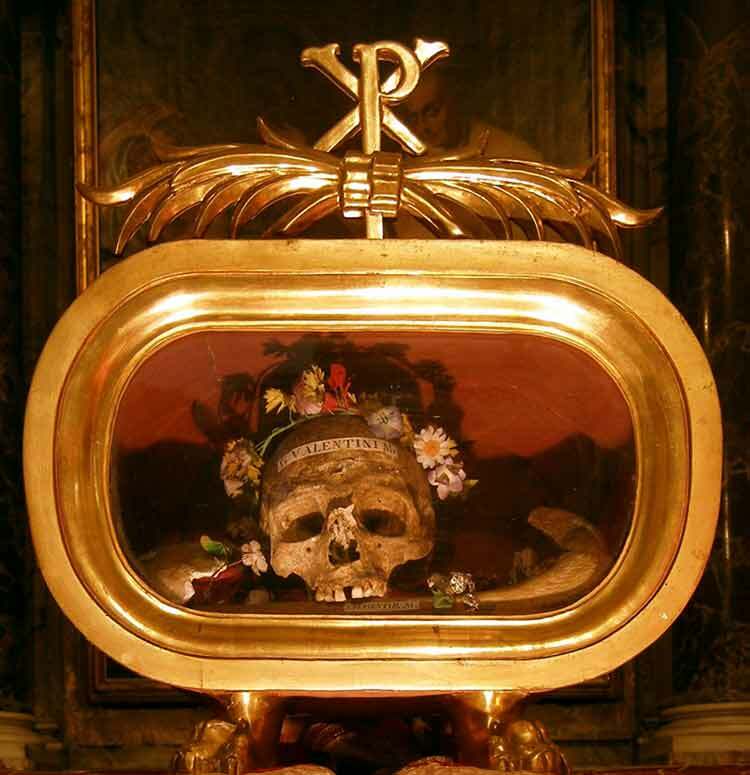 There, in a tiny glass case, you will find the sad, flower-adorned skull of poor old Valentine. This entry was posted in Europe, Italy, Photography, Travel and tagged history, inspiration, love, photography, photos, pictures, travel, valentine's day, writing. Bookmark the permalink. Oh, I had no idea that this was the origin of Valentine’s Day. Really quite sad…but love still triumphed. Haha AJ, I’m sure he was quite a looker in his time. 😉 Happy Valentine’s Day, my friend. I’ve never heard that before and am very glad to know this is not just a Hallmark fabricated tradition. Fun holiday themed post. Thank you! Thank you for sharing this story – though like AJ I wouldn’t fancy kissing that mouth either! Best Valentine’s Day post I have read! And love your images too. Thanking for telling us the story!! Not just a Hallmark holiday, haha, although I think the card and chocolate makers have taken over from poor love lorn Valentine. Nice post, I especially like the skull! In Mexico it’s called the “Day of Love and Friendship,” which includes much more than just romantic love. So glad you shared this story. Very interesting! Nothing says romance like a skull. Loved it!